"At Binance, we periodically review each digital asset we list to ensure that it continues to meet the high level of standard we expect. When a coin or token no longer meets this standard, or the industry changes, we conduct a more in-depth review and potentially delist it," Binance said, repeating its usual wording for delisting announcements. According to the exchange, all trade orders will be automatically removed after trading ceases in each respective trading pair. Withdrawals of these coins and tokens from Binance will continue to be supported until July 22. Also, compared to other exchanges, Bitcoin SV is now trading less on Binance, dropping from second place by transaction volume with 8.28% on Friday, to 6th place with 6.03% earlier on Monday. BitForex, HitBTC and IDCM were the top 3 Bitcoin SV exchanges (almost 40% of the total BSV trading volume) out of 71. "It's already catching serious bids right now," he tweeted, adding that Binance announcing they will delist will probably lead to other exchanges doing the same. "Like it or not - coins need exchanges to survive," he concluded. As reported last Friday, Changpeng Zhao, CEO of Binance, hinted on Twitter that the exchange might delist BSV, currently the 12th largest cryptocurrency by market capitalization. Meanwhile, on Monday, the CEO said: "I don't choose sides on technology. We let [the] market do that. I am against fraud, such as lying to be someone. 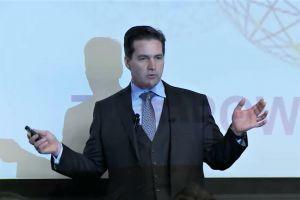 As such, it is my strong opinion that: Craig Wright is fraud.” Craig Wright, often dubbed Faketoshi due to his claim that he is Satoshi Nakamoto and general lack of any sort of proof, is the main backer of BSV, the infamous hard fork of Bitcoin Cash. However, as the company remained silent about the delisting until now, it prompted speculations that Binance and its CEO could be going back on their intent to delist Bitcoin SV. He's not going to delist something that brings him revenue. As long as it's profitable for him to have it listed on Binance it stays there. Meanwhile, Anthony Pompliano, co-founder and partner at Morgan Creek Digital, a digital asset management firm, suggested on Friday that "every exchange should delist BSV simultaneously on May 1st in a sign of solidarity behind the only Bitcoin that ever mattered." Cryptocurrency wallet BitFi also had their reply to the situation ready - they promised to remove support for Bitcoin SV from the wallet, before “remembering” they never offered support for it in the first place. 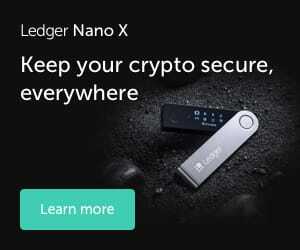 However, cryptocurrency exchange Poloniex even went completely the other way, admittedly a day before most of the fiasco went down, by listing Bitcoin Cash and Bitcoin SV available for margin trading for non-US customers. As reported, Wright served legal papers on the individual behind the Twitter account @Hodlonaut (that is not available now). "The papers warned that Wright had had enough of Hodlonaut’s “targeted campaign” to harass and libel Wright with “highly defamatory and abusive tweets," reported Coingeek, a website owned by another big proponent of Bitcoin SV, Calvine Ayre. Moreover, Wright reportedly offered USD 5,000 in BSV for information regarding @Hodlonaut’s true identity. Meanwhile, the community raised USD 28,000 for the Hodlonaut's legal fund. "This decision [to delist] will certainly be reported to the Maltese regulators as this is surely a case of people in trusted positions abusing that trust and playing God with which token gets the most volume and market access. In essence, market manipulation," Ayre said on Monday, the Financial Times reported. According to him, the decision seems to be based on the fact that "they don’t like one scientist that works on the platform" while Wright "doesn’t own BSV, not does anybody, so this appears to be very unprofessional." Replying to McCormack’s response to Wright, Changpeng Zhao wrote, “Masterpiece! You have my full support, Peter."